← Sweet 13th Birthday Parties ~ Dream or Extreme? 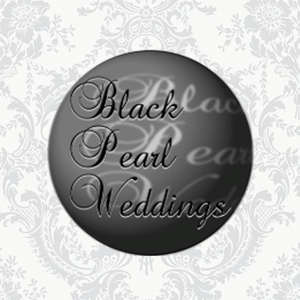 This week, we have the pleasure of introducing new members Black Pearl Weddings! Black Pearl Weddings are a London-based, superior boutique wedding planning and consultancy service and we recently caught up with owner Kelle Parker them to find out a bit more about them. Founded in May 2012, Black Pearl Weddings originated from a passion for both the events and fashion industries and naturally progressed into a unique and stylish company. It’s little wonder then, that when asked who her inspiration is, Kelle immediately answers “she’s truly one of the most graceful, elegant and iconic women of the last century, embodying glamour and femininity in such an accessible way”, of Grace Kelly. Offering part or full time coordinating for weddings and events, Black Pearl Weddings also provide by-the-hour consultancy appointments and virtual assistance for clients who need a little advice and support along the way. Kelle is a true romantic at heart, it seems. She cites her favourite thing about weddings is the combination of love and joy being celebrated in an elegant, traditional way and adds that this is regardless of the client’s budget. Every wedding and event is a privilege for Black Pearl Weddings to be a part of. We’ve also discovered another of Kelle’s favourite things – wedding cake! Well, to be exact, she’s rather partial to a rum-infused sponge with marzipan and raspberries but can also be tempted with chocolate Devil’s Food with vanilla buttercream! With ‘fashion passion’ running through their veins, Black Pearl Weddings have seen Art Deco/Jazz Age style become one of the key styles in the wedding industry in 2013, particularly working beautifully when clients have held their events in one of London’s many venues dating back to the Art Deco era. Bold, bright, neon colours have also been popular this year and examples of this can be see on the Black Pearl Weddings blog page. Kelle predicts that 2014 will be an even more stylish year, having had her appetite whetted by the Spring/Summer collection at Vera Wang. She also pinpoints black and white as a continuing trend for the year. Having shared their ideas for key trends, Black Pearl Weddings also want to share their top ‘pearl’ of wisdom with you – allow yourself plenty of time from the onset and structure a plan so that everything can be accomplished. Then there’s time left over for any last-minute emergencies to be ironed out. Well, the future certainly looks exciting and eventful for Black Pearl Weddings! Big news and whispers of expansion are just around the corner, so we will definitely be keeping our eye on this company’s website, blog and Facebook pages! Don’t forget to follow them on Twitter too.